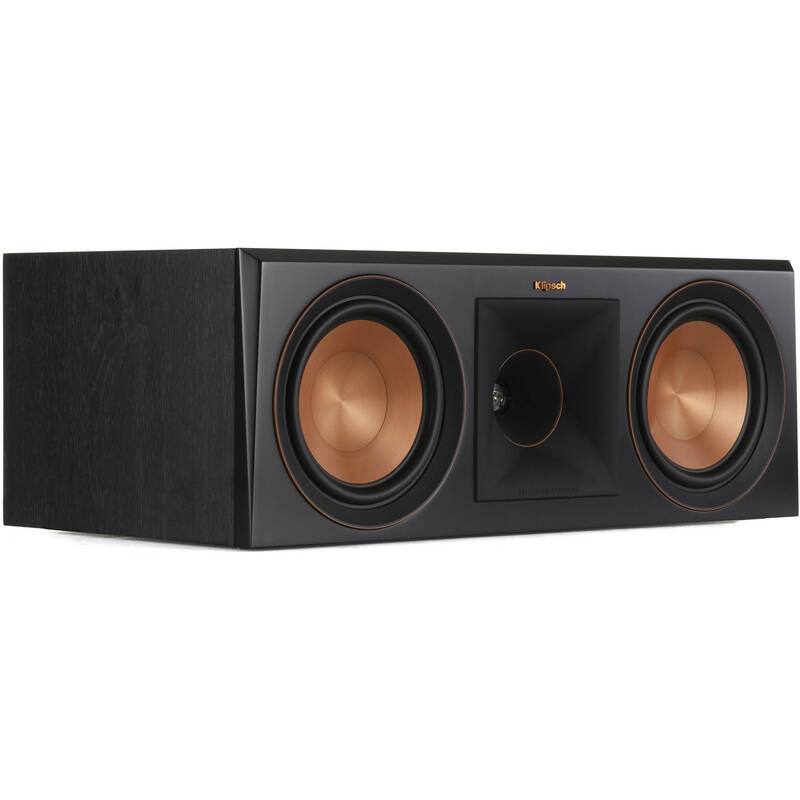 Bring pure, natural sound to your home theater with the ebony Reference Premiere RP-600C 2-Way Center-Channel Speaker from Klipsch. Featuring a 1" titanium LTS vented tweeter paired with a hybrid Tractrix horn and two 6.5" spun copper Cerametallic woofers, this center-channel speaker delivers a frequency response of 58 Hz to 25 kHz. It can handle up to 125W of continuous power from your amplifier of choice. The RP-600C incorporates a Tractrix horn designed to enhance efficiency and increase detail while focusing high frequencies towards the listening area. The horn uses a phase plug and a compressed molded silicone face to ensure smooth frequency response and deliver clean, natural sound. The RP-600C's Cerametallic woofers combine high rigidity with a lightweight construction to minimize distortion. They pair seamlessly with the Tractrix horn-loaded LTS tweeter to deliver enhanced speaker efficiency. 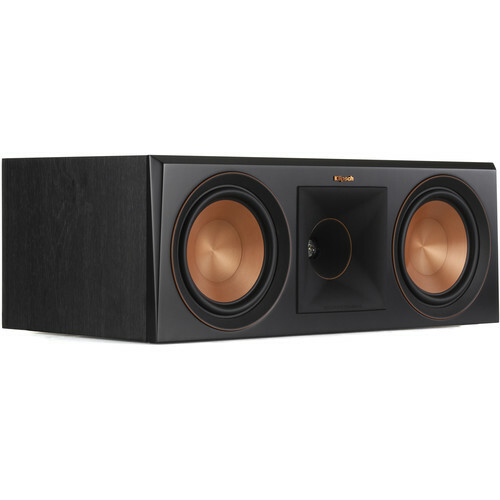 Using Tractrix geometry, the RP-600C's ports allow for efficient, fast air transfer from the cabinet, reducing port noise and resulting in punchier low frequencies. Inner flares help reduce air turbulence entering the ports for cleaner, more powerful bass. The RP-600C's 5-way screw terminals accept banana plugs or bare wire up to 12-gauge for a flexible, lasting connection. To facilitate setup, the terminals are color coded. The speaker cabinet boasts an ebony vinyl finish, as well as satin-painted baffles with a scratch-resistant finish. The RP-600C's design includes copper anodized trim rings, cast aluminum feet, satin painted baffles, and a laser-etched logo.